Not many breeds are as hardworking and determined as the Beauceron breed. These lovely pups seem to have it all! Many dog owners claim that they are absolutely perfect by many standards, and that they fit well into all households. If you’ve been looking for a dog that will be a loyal pet, a wonderful friend, and a loving but protective family member, the Beauceron is definitely the answer to all of your prayers. 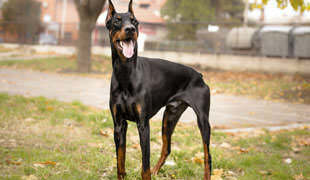 A strong and athletic frame doesn’t always have to involve a house and a huge backyard, as this breed proves that these types of dogs can have a happy life in apartments. Keep in mind, however, that they do have a huge, athletic body frame, so incredibly small apartments might not be the best housing option for the Beauceron. These adorable pups are gentle and sociable with humans and other pets alike, and they’re always ready for fun, playtime, and any kind of activity. However, they are a bit reserved with people outside the family circle and they have strong protective instincts, especially when it comes to children. Some people claim that the Beauceron is the perfect nanny! Yet, as with all breeds, they need proper training and socialization. Although they can find a special place in the hearts of all families, they’re the best choice for families that have older children, or active singles. They’re one of the best apartment dogs in the world, but keep in mind that they love to be active so you will need to spend some time outside as well. Exercise them on a daily basis. Beaucerons are confident but gentle, hardworking yet playful, and that special versatility is their best trait. 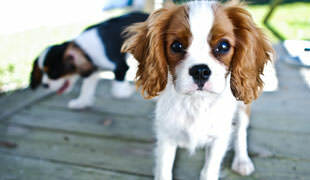 They have a life span of about 12 years, and they’re generally a pretty healthy breed. However, some dogs may develop hip dysplasia. Beaucerons are hard workers, but you won’t need to be when it comes to taking care of their polished look and style. Grooming these pooches is easy as pie – just bathe them occasionally and regularly brush their sort, dense, black/tan coat. 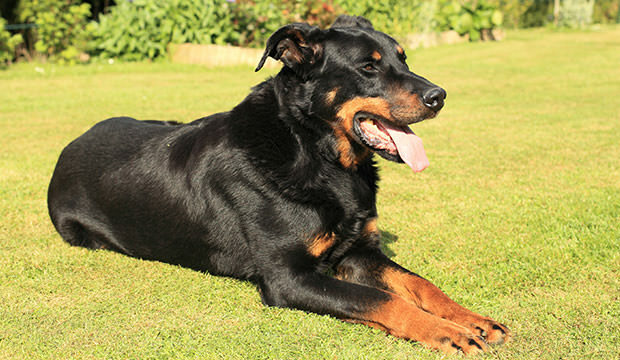 The perfect feeding schedule for the Beauceron involves smaller meals, because they have a tendency to bloat. where can i find beuceron pup. how much it will cost?